Complete with tool and rustproof brass grommets for replacement or repairs in canvas or vinyl tarps. Instructions included. 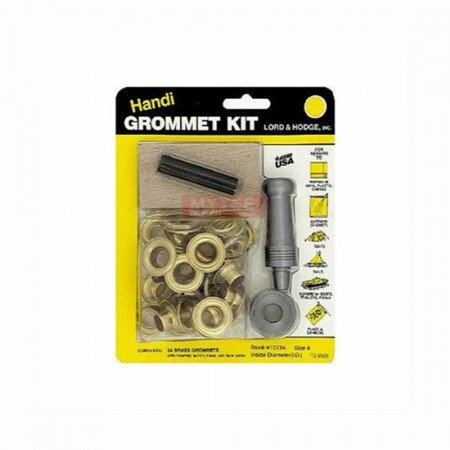 Tools with kit: Cutting block, hole cutter, inserting punch and die and 12 1/2" Grommets. Tools with kit: Cutting block, hole cutter, inserting punch and die and 12 1/2" Grommets.